How Many Square Feet Can a 50,000-BTU Pellet Stove Heat? A 50,000-BTU pellet stove is a powerful heating appliance, but just how effective that heat will be varies, depending on where you live. The colder the local climate, the smaller an area the stove will be able to heat, but a stove of 50,000 BTUs will sufficiently warm a large space, no matter what your region. A quality pellet stove can comfortably heat a very large home. The abbreviation BTU, used in power ratings of heating and cooling appliances, is short for British Thermal Unit. This is a unit of heat energy, one of which is approximately equal to the heat given off by a kitchen match or the heat required to raise the temperature of a pint of water by 1 degree Fahrenheit. Thus, a 50,000-BTU pellet stove would theoretically be capable of heating 6,250 gallons of water by 1 degree over the course of an hour. One of the most important factors in determining the ideal area for a stove to heat is that of temperature difference. Temperature difference is the lowest annual outdoor temperature subtracted from the ideal indoor temperature. The greater the difference, the smaller an area a given stove can heat, and vice versa — if the exterior temperature is equal to the desired interior temperature, there's no need for a heater at all. Installing your 50,000-BTU stove in a living area of the right size is essential. If the house is too large, the stove will naturally have difficulty keeping it warm enough during the winter months. Conversely, a smaller-than-ideal room runs the risk of overheating. To keep the stove running low enough, you would be forced to burn it at a smolder, wasting fuel and creating unnecessary levels of pollution. If you live in a fairly warm climate with a maximum interior-to-exterior annual temperature difference of 20 degrees Fahrenheit, your pellet stove can heat a remarkably large area. Theoretically, 50,000 BTUs can warm an area of 2,400 square feet under such conditions, though considerable air circulation will be required to maintain an even temperature throughout the entire building. A 40-degree difference reduces the heatable area to 1,200 square feet, while temperate regions with a 60-degree difference prevent the stove from warming an area larger than 800 square feet. If you live in a truly cold location with a difference of 80 degrees, the stove will only be sufficient for 600 square feet. How Many Btu to Heat a Square Foot? 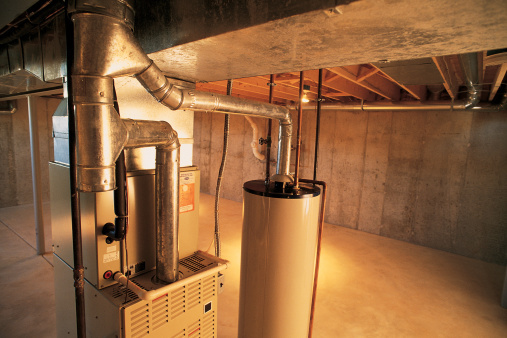 How do I Calculate the Heating & Cooling for 900 Square Feet?